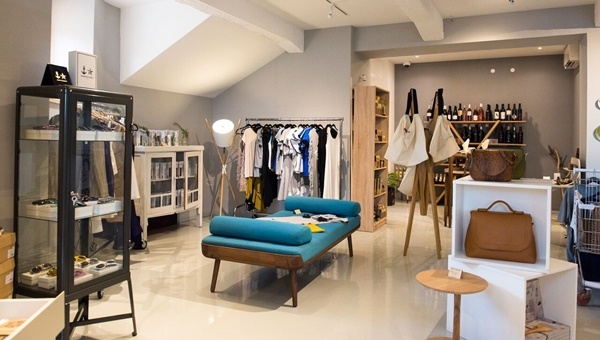 If you are in looking for a unique place in Dubrovnik you should head to Ploce district where you will find 'Life according to KAWA' store. This interesting store is set in a spacious space offering stunning views of the nearby island of Lokrum and Old harbour. KAWA store is a place where you can buy some of the best Croatian designer products as well as have a chat over a coffee or a beer with friendly owners - Jon and Sanja. This Croatian-Canadian couple, who chose Dubrovnik as their home, wish to offer visitors of Dubrovnik authentic local experience. If they are not in the store, kind staff will help you with any info you may need. At the store you will find a range of natural cosmetics based on Mediterranean herbs such as lavender, immortelle, rosemary and sage. Pamper yourself by choosing from body and hand creams, body lotions and scrubs, bath salts and colourful soaps. You will be delighted with amazing scents of these organic cosmetics. For those in love with Croatian cuisine there are numerous food products coming directly from local producers. 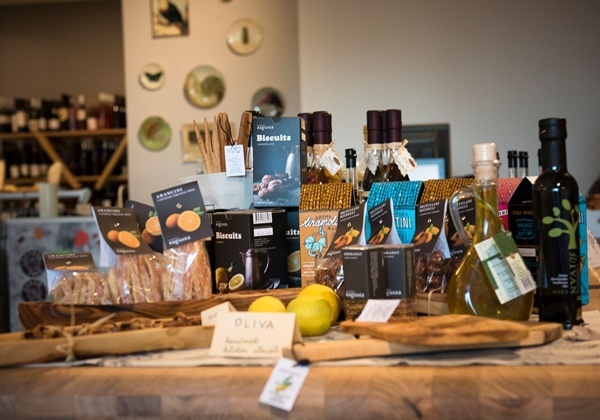 It will be hard to choose from a range of superb products such as the best olive oils from Dalmatian islands and Istria, homemade jams, organic honey, Croatian spices, cured meat, cheeses, salt from 'Solana Nin', Istrian truffles etc. There are also on offer a range of sweet local delicacies - 'arancini' (candied orange peel), 'brustulani mjenduli' (sugared almonds), fig cakes, a variety of cookies (with orange, lemon, lavender, fig and carob), handmade chocolates and many others. 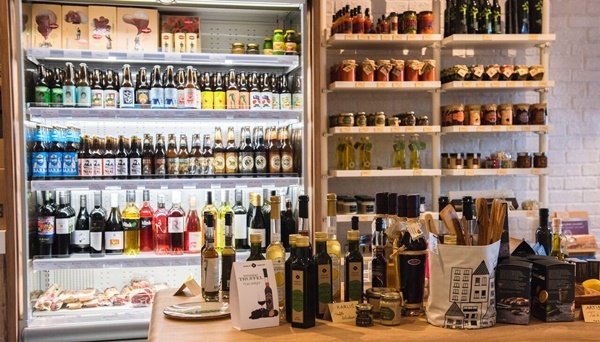 At the store they have a large selection of local wines for all occassions, herb liqueurs and Croatian craft beers. If you want to reveal the secrets of local dishes get yourself authentic Croatian cookbook with selection of best local recipes. If you are looking for an ideal gift for loved ones at home, choose from a large selection of unique items such as postcards with motifs of Dubrovnik, colourful bookmarks, magnets, mugs, bags etc. KAWA offers a range of handmade products made by Croatian designers. 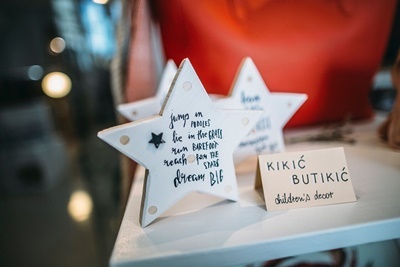 You will find here cute ceramic cups and bowls, cutting boards and kitchen utensils made of oak and olive wood, interesting wooden and leather jewellery, children toys etc. 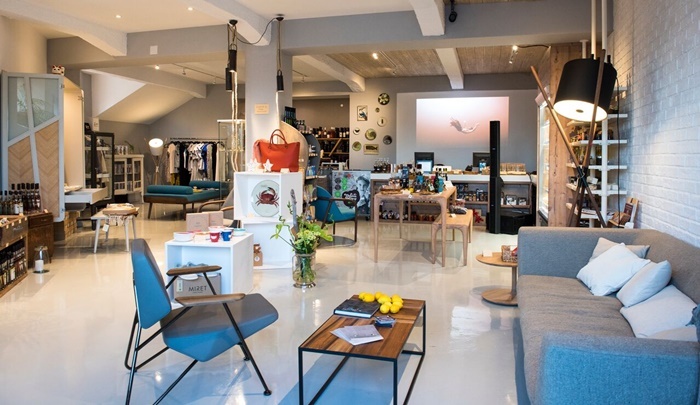 In addition, one corner of this store is filled with interesting pieces of designers clothes, shoes, bags, ties, sunglasses, watches and even furniture. 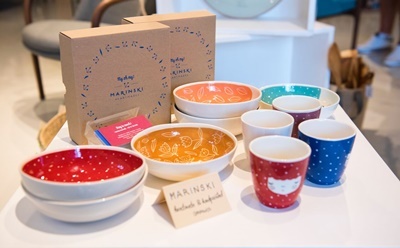 While in Dubrovnik don't skip the visit to 'Life according to KAWA' store to pick up some unique Croatian products, to get some tips about Dubrovnik highlights or just to have a pleasant conversation over a coffee or a beer. Besides KAWA store, Jon and Sanja run Fresh* Sheets Kathedral which is situated in the very heart of Dubrovnik's Old Town. Here they can accommodate up to 14 people in a mix of studio, double and twin rooms. From your rooms you will enjoy views of the top Dubrovnik sights. Comfortable beds and the kindest service ever make Fresh* Sheets Kathedral an ideal place for your Dubrovnik holiday.